RelationshipExpert was formed to offer a unique reference point on starting, building and maintaining good relationships. At any stage of life, relationships are tricky things to manage so RelationshipExpert was set up to offer detailed expert advice on this vast and personal subject. We wanted to create a one step resource where people can come to find relationship advice -whatever their problems are. Our writers are experts in the field and have been there and done it so they can pass their experience and expertise on. Whether it is a young flourishing relationship or a longterm partnership, there are always issues that need to be addressed. From the emotional, to the practical, our experts have collated a wide variety of articles give some inspiration and guidance on important issues. 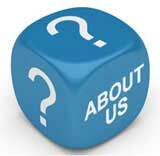 The website is organised in a structured manner so that it is easy to find the information that is needed. Whether it is break ups, long term love, or relationship problems, there are a series of articles to help. Each article is easy to understand and breaks down complicated information into bite size chunks that can be absorbed quickly. Relationships are an important part of life and we want people to be able to make the most of theirs and have the information they need to make informed decisions. RelationshipExpert was founded by John Rowlinson, the founder of PtS. John, through PtS, is involved in a number of ventures including software and property companies. A percentage of revenue from these activities goes towards funding RelationshipExpert and a number of similar sites.